The premium seaside resort of Bournemouth draws visitors of all possible genres from all over the UK and beyond. 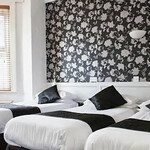 The city offers a portfolio of hen friendly accommodation options for every budget. Whether you like to stay near the beach or right at the city centre, never too far from the night life and day time fun – Bournemouth will cater to all your needs. Hotel Celebrity is perfectly located in a quite Bournemouth area but is only 200 yds or so from the Beach and within 15 mins of all the amenties and Bournemouth nightlife. Famous for its iconic beaches and outdoor fun, Bournemouth has evolved to be a popular hen party destination for some very good reasons. Large enough to have all the advantages of a big city but small enough that you never feel lost Bournemouth shows off a diverse accommodation list. Just keep your budget and group size in mind while narrowing down the choices. The hen friendly accommodation options come in all possible shapes and sizes. From budget hostels and dorms to group accommodation options like self catering apartments and cottages, these hen friendly accommodation options are open to all the loud banter and cat calls of the drunken hens. 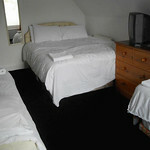 Hen party accommodations need not be dreary and basic any more. Bournemouth has some stylish holiday homes and apartments that are tastefully done up in style to cater to the hens who may be fussy about where they stay. The sun and fun seekers who sweep down on the city leave it crowded and busy all round the year. So make sure to make your booking with us well on time and get the best deals.Combo offers, transfer deals and VIP club passes will make your hen group the envy of others. Be right at the centre of all action without having to be put off by the surging crowds and start your fun early to have enough time for drinks, banter, dance and music. If you are a large group that is keen on saving a pretty penny, place your bets on hostels or dorms. Most of these are located near the city centre and would spare you transportation worries as well. Looking for good value deals and not too picky? 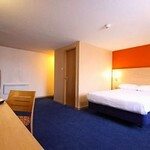 opt for some 2 star hotels, most of which come with a licensed bar, which is what makes the difference in any hen party. 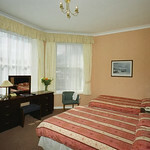 Hotel Celebrity will be good option for the beach as it is only 200 yards from the coast and within easy access to all the amenities and nightlife of Bournemouth . 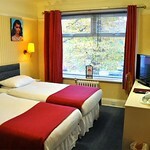 There are many hotels and accommodation options for every budget in this city. Just tell us your numbers and budget and we shall come up with the best choice because you deserve nothing but the best.